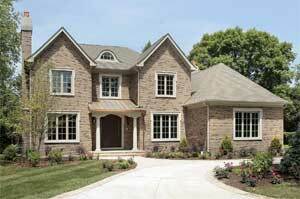 New Home or Addition in your future? Our Design Experts can help! Our Residential Design Service Team can make your dream home, remodel, or addition ideas become a reality with custom-designed house plans. For over 25 years, Braun Building Center has been designing house plans to meet homeowner’s needs. 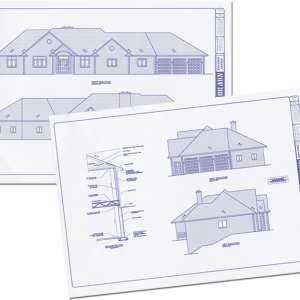 Stop at Braun Building Center or call today for FREE Estimates on any building plans you might have and download our brochure. See our Residential Design Service Pricing Schedule for more details. 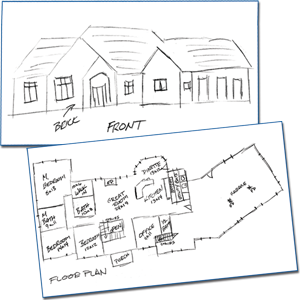 The custom planning process begins with your ideas and rough sketches. Desirable elevations, traffic flow patterns, room locations, room sizes, and house style are taken into consideration. Initial budget discussion is also helpful in the early phase of your floor plan development. If you’re looking for ideas, we have a library of plan books available to assist you with design options. They can be checked out for a small deposit of $5.00 (refunded when books are returned). These designs are a great starting point for generating ideas for your plan. Our qualified design staff will use your initial information and sketches to develop a 1/4″ scale preliminary drawing using the latest C.A.D. software. Adjustments will be made to assure a functional, buildable, and cost-effective plan. At this point, a small monetary commitment is required to cover the cost of the preliminary drawing. 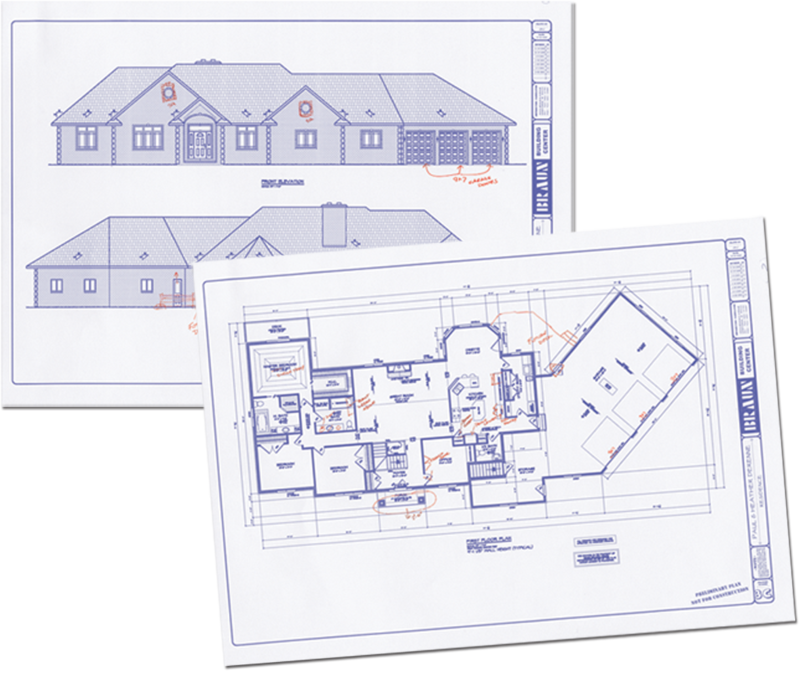 You will then receive two sets of blueprints; one to keep and one to return to us with any revisions that need to be made. This drawing will show general elevations, room dimensions, layouts, window and door locations, along with porch and deck sizes. Once you have picked up the preliminary drawings, you are asked to thoroughly and carefully examine them. Take notes of any changes you may wish to make, and any questions you have. After this is done, please call us to schedule a time to discuss the changes and have your questions answered by our staff. Two revisions can be made at no extra cost. These revised blueprints are helpful in acquiring material estimates and builder pricing, procuring financing, and obtaining bids from sub-contractors. Extra copies can be provided at your request free of charge. 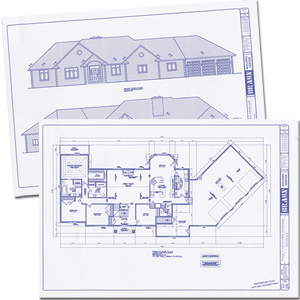 After the plan is revised and it meets your expectations, final construction blueprints are produced. 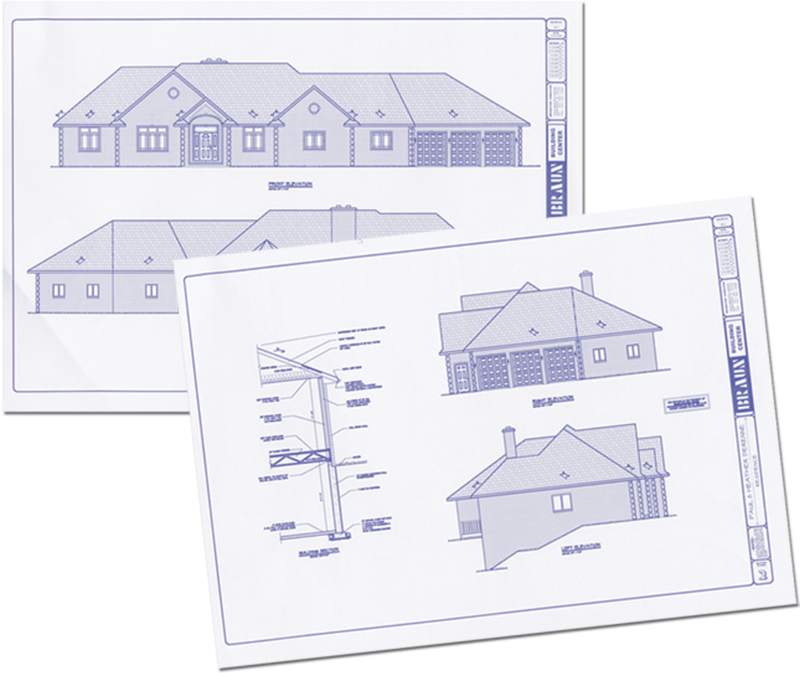 These complete sets of working drawings will include all the elevations, floor plans, the foundation plan, and a general cross-section needed to obtain the building permit necessary to build your home. Floor framing plans, truss and roof layouts, and framing detail sheets are also made available when the building materials are purchased from us. We will run nine sets of final construction prints for you to give out to the contractors as your home construction begins. 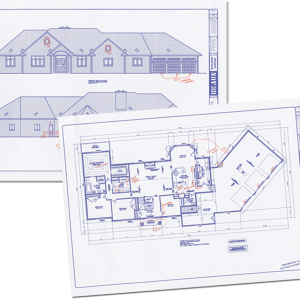 Additional copies of blueprints can be obtained as needed for a minimal cost.